Home / Business / 6 Essential Reasons Why Should You Apply for Business Loans? 6 Essential Reasons Why Should You Apply for Business Loans? Starting a new business may be a dream which you will go to any extent to fulfill. After all, it is better than working for another person. It gives you the opportunity to be your own boss and do things your way. You may even have an innovative plan to come up with a product that people in the marketplace need.They may even be willing to dig deep into their pockets to pay for a good price for it. However, you need to be sure you have the money to establish such an organization and commence operations immediately.If this is not the case, you have to borrow the necessary cash from an external source. In such a situation, you should seriously consider taking a business loan from a reliable bank or financial institution. Is it prudent for you to take a business loan? Finance experts say business loans enable entrepreneurs to get the funds they need to start their businesses. However, they need to be careful not to take too much debt. They may find themselves in a difficult situation if they cannot manage such a financial burden at a later stage. It can ruin their organizations and their reputations in the marketplace. In the worst-case scenario, they may have no option but to file an application for bankruptcy. The same rule also applies to you.This is why you need to use this cash prudently. It can be a catalyst in helping you run your establishment successfully. Financial institutions are always willing to lend you money in the form of a loan to start a business. However, you need to convince the officials of such organizations of the feasibility of your proposal. For this, you need to show them your business plan and fulfill all their stringent requirements. You can then use this cash to purchase necessary real estate for your establishment. Generally, you have to clear such a mortgage over a period of 30 years depending on the policies of such institutions. To commence your market operations, you may need to buy the necessary equipment. Generally, you have two options open to you. You can either buy this asset outright or lease it from any party. 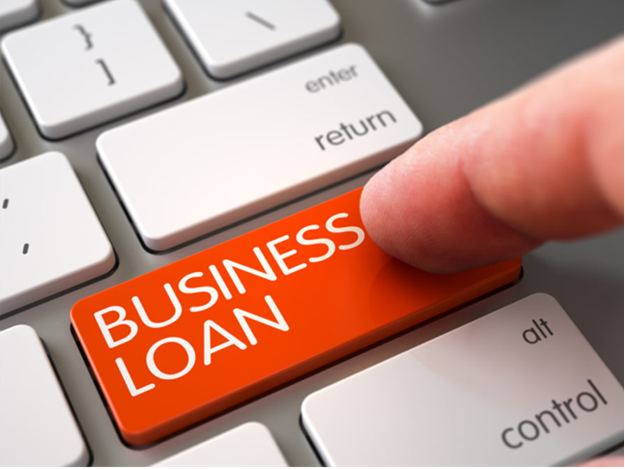 Taking a business loan can help you to purchase it from the vendor outright. Taking this course of action may be advantageous to you in many ways. You can claim suitable tax exemption from government authorities for making such a business purchase. You are also eligible for deduction on the depreciation you charge over the economic life of this asset.This can reduce your tax burden considerably. You may need to take a business loan from a bank or financial institution to buy necessary inventory. Such stocksare necessary to manufacture the products you sell to the public in the market. Without these raw materials, your production units would come to a standstill. This is something you don't want to happen. Experts from esteemed companies say such loans differ from the funds such organizations lend you to buy land and equipment. They are generally of a shorter duration.You need to repay such establishments at the end of the season or as soon as you make sales. You may feel it is time for you to expand your business operations. You may be looking at other markets to sell your existing products at a higher profit margin. You may even want to introduce a new product-line which you think may boost your bottom-line revenues. However, you need an adequate amount of cash to carry out such activities. This is where banks and other financial institutions may step into the picture. They may be willing to offer you business loans with reasonable rates of interest for such purposes. Such type of finance can help your business grow in the marketplace. You need adequate cash to run your business organization efficiently. It enables you to pay your employees on time, purchase raw material, clear your suppliers’ dues and meet expenses. However, there are times when you do not have this money on you. Experts refer to this as a cash crunch. Such a situation may arise for a variety of reasons.Some of your customers may not be paying up the money they owe you on time. Again,your organization’s sales are at an all-time low, and you are finding it difficult to conduct your business operations. You could also be irresponsible with your expenses which is why money is flowing out of your business. Whatever the reason, taking short-term business loan can help you tide over the current state of affairs. Professionals refer to this as a working capital loan. There are times when you do take more business loans than you can handle for some unfortunate reason. You may find it very difficult to clear them at the same time. However, you may bein an adverse situation where you have to apply for bankruptcy. Fortunately, banks and financial institutions may consider your case if you have a good track record of meeting your obligations. The officials of such organization will restructure your existing business debt. They basically convert all your small business loans into one at a lower rate of interest. Instead of making numerous monthly repayments you only have to make one. This can help you reorganize your business finances. Business loans can boost your organization’s finances and help you operate it efficiently. The above six reasons should the enough to convince you that this is the right step to take. However, you need to evaluate your own need before approaching such lenders. You have to have a thorough understanding of their terms for giving you this money. It is prudent on your part to assess whether it is in your best interests to accept such conditions. If this is not the case, you should approach another one. Author bio: Marina Thomas is a marketing and communication expert. She also serves as content developer with many years of experience.